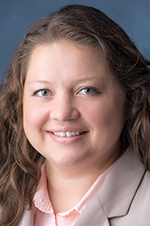 Elizabeth Kanous has joined Potestivo & Associates PC as a supervising attorney in the firm’s bankruptcy department in its Rochester Hills office. Most recently, Kanous served as an associate attorney for Trott & Trott representing creditors in bankruptcy. She is a member of the American Bankruptcy Institute, the Consumer Bankruptcy Institute, and Upsilon Pi Epsilon: Honor Society for Computer Science. Kanous, of Southfield, completed her Bachelor of Science in computer information systems at Grand Valley State University. She earned her juris doctor at University of Detroit Mercy Law School.